Silgest Group has a large own workshop in the Headquarters in Palencia, which deal with different areas such as the start-up of machinery, revision, replacement of parts, stamping and personalization of clothing Of work, PPE revision, etc. We carry out the management of the guarantee from here, as much of homemade products as those of the other brands that we commercialize. All these actions are carried out by an experienced and highly specialized team. We take care of the first steps, start-up and verification of the product that you acquire, as well as the training of your personnel in the use of it. 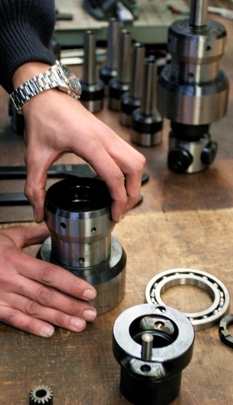 We offer our customers not only the supply of complete equipment but also the spares for them through our after-sales service. Our team of professionals is always in charge of solving any doubts about the handling and operation of the product as well as any need related to spare parts, supplies, alternatives in the market. Our specialists will tell you what to do, trust us. We provide official guarantee of all the products we sell, both those we manufacture and those of our business partners, leading brands in the sector. 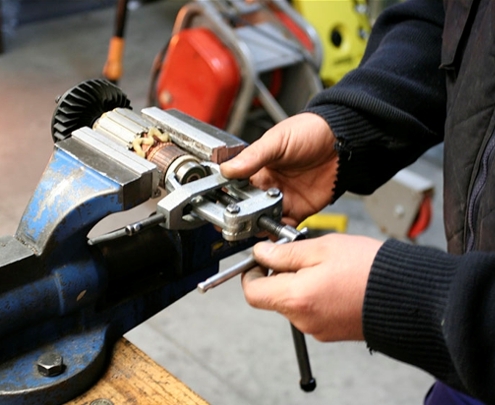 We have our own workshop, where our technical staff will guarantee the maintenance and repair of your equipment and machines. We always work with original spares and accessories. Our specialists will help you in choosing the right product for your needs. Your satisfaction is very important for us.